have you ever thought how hackers finds their victim sites easily? and how they find specific results from internet instantly? Today, In this post, I am going to describe about What is Google dorks and Why Hackers use them. Google Dork is a special string for finding any specified or restricted result from any specified website or from whole Internet with the help of Google Search Engine. This Strings are built with the advanced search operators supported by Google Search Engine. Normally, Google Dorks are used by security researchers, network admins, web developers, IT Professionals and other Networking Experts For Finding Their Filtered limited results. In Simple Words, Google Dork is a sequence of character that can be use for finding any type of Exact Or Restricted Result Or File With the help of Google Search Engine. For Example: With Google Dork, You Can Find any specified file downloading link directly in Google Search Engine Result Page. Now, Let Me Show You Some Commonly Used Search Engine Operators But First, I Want To Declare That I Will Not Take Any Type Of Responsibility So, Use These Dorks On your Own Responsibility. This operator help to get our result from any certain domain name Or Url. Allow us to find specified URLs that contain provided queries or string in it. Find Links Of Files That Contain User Specified File Extensions. Find Webpages that contain provided string in its data. Find Webpages that contain provided title in its title string. Google Dork Is really very Powerful Way To Finding Any Specified Content On Internet Because Google Search Engine Constantly Store Screen shots Of Millions Of Sites In its Database. For This Purpose, Google Search Engine use specialised crawler called Google Bot. This Crawler is responsible to take and store screen shot of all websites and their data also. Google Bot is very high speed and best in following links for crawling. So, Mostly All Websites admins normal use robot.txt to disallow Google Bot to crawl In Any Specified Page Or In Whole Website That Contain Any Private Data Or Confidential Data. But Their is one more face of this situation. Many times Google Bot Crawl In Private Webpages, Vulnerable Pages or Any Private Data File Even After Having No Permission Or Because, Website Admins Many Times Forget To Disallow Google Bot And This Cause, Google Bot to Store That Private Data In its Server. and many other type of data also. 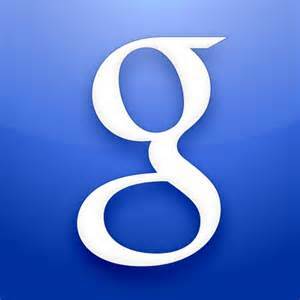 Google Dork is really Very Interesting And Powerful Way Of Finding any Specified Content On Internet.